I recently visited the Copperbelt on a two-week work trip. A major plus was the consistent rainfall most Copperbelt towns received everyday.This province could soon become the agricultural belt of Zambia if properly utilised. Associated with Copperbelt’s rain season however is a phenomenon not so pleasant- the frequency and magnitude of lightning strikes. I am in my late thirties and quite well-travelled, but have never experienced such frequent and powerful lighting strikes,as the ones I witnessed in my two weeks on the Copperbelt. It is no wonder death sometimes results from these strikes. During one memorable occasion, sitting in a mechanical workshop, we experienced a lightning strike so powerful and potent; its sound comparable only to several grenades exploding a few metres away. For a while, everyone in the workshop was deaf and in a state of extreme shock from the electric jolt that went through our bodies. Soon after, everyone was wondering if no one had been killed, or at least if some building had been burnt down.Stories of lightning strikes switching off a moving car are not uncommon on the Copperbelt. That is how powerful Copperbelt lighting strikes can get. My obvious task was to try and scientifically explain the cause of such powerful lightning strikes. It dawned on me that the air above the Copperbelt has higher pollution levels due to mining activities. This air is mostly charged with fine metallic particles, which significantly change the composition of the air. Simply put, the air is heavily ionized. Such air therefore becomes a very good conductor of electricity. 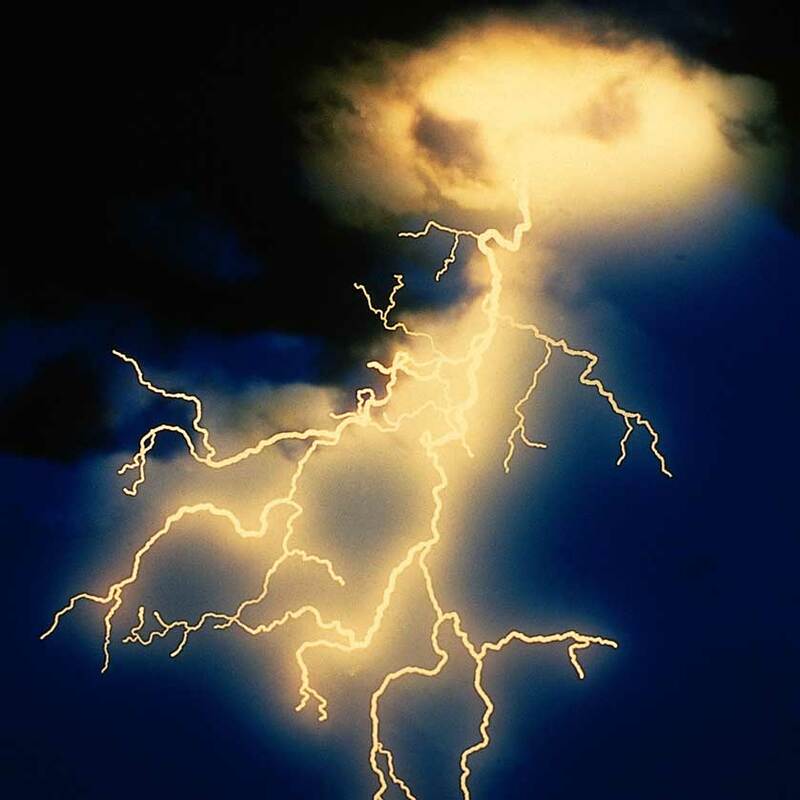 Since lightning is simply a massive discharge of static electricity, this charged air above the Copperbelt acts as a good conductor of lightning. In other words, lightning can travel much closer to the earth’s surface through this electrically charged atmosphere. Most towns therefore experience powerful strikes since these strikes occur very near earth’s surface. The danger therefore is obvious: human casualties and damage to property. In towns with fewer emissions, lightning strikes still occur, but they are restricted to higher altitudes. By the time the lightning travels towards earth’s surface, it is much weaker and pauses no immediate harm to humans and property. It would therefore be prudent to utilise lightning arrestors in all buildings on the Copperbelt and surrounding towns. My sincere hope is that Witchcraft should never be associated with the killer lighting strikes I experienced on the copperbelt. I did not finish the article because I realized the writer has this narrow perspective and actually not so well travelled. Well, Mr. writer, you tried to picture your fear of thunder because of your past experience. Foe your information, the Copperbelt thinder and lightening is just a small fraction of the lightening you can get in Kasama, Mporokoso or Luwingu where 100 year old trees and ant hills are split into pieces in a flash and thunder can be heard all night mu Kabengele kanono. Ionisation of the atmosphere is not caused by Co2, Nitrous or Sulphite pollutants on the copperbelt but rather phenomena I cannot easily propound here. Let him also visit Kawambwa in Luapula province were there are no mining activities , but he will be amazed by the high intensity of lightening occurrences. lastly since he is in his late thirties he can not claim to have traveled extensively for him start making premature conclusions on lightening. Maybe you ought to look at maps.all towns you mention lie where the CB atmosphere ends up because of winds.if a volcano was to erupt in CB,all the volcanic ash would end up in the towns you mention. Just visited for 2 weeks, you start lecturing us about lightening in the copperbelt? That’s how we live Ku kopala. And what empirical evidence have you gathered linking your ‘killer lightening’ to pollution? Chill. Thanks Ndaba. Such an insightful article! Of what significant value is this article. Are you challenging luapula boys or you are simply shareing your scientific knowledge on lightening. Well articulated. It is your observation and conclusion after experiencing thunder and lightning on the CB. You have forever put your experience on record, having asked yourself a question about it. You will be able to add to your knowledge as you explore the subject further. Keep a clear mind and keep on writing your observations not only on this topic, but also other observations you make in life. Some what sounds like what my late grandfather used to tell us. Only difference is that he used to tell us that lightening was more common mu kalale due to the copper underground which was attracting it. But when I went to Mambilima the story changed that lightening was caused by a lizard like animal when it entered flood water caused by rain. As I grew older I came to realize that the old man didn’t have a true explanation to the phenomenon. Who wrote the title of the article? It cannot be Ndalama because for more than 11 times he spells the activity correctly in the article. It is LIGHTNING, not lightening which means to make less heavy, less serious, less dark. Thanks for the article. However my focus for now is on the over priced fire tenders, the joke dialogue and the toll plaza costing 4.3 million dollars in Ndola, I will come to the lightning issue much much later after I am done with these critical issues. It is said that when you hear the thunder, it means you have not been hit by the lightning strike. Reason? An electric current travels faster than sound. Therefore, the sound (noise) reaches us much later after a lightning strike. ‘we experienced a lightning strike so powerful and potent; its sound comparable only to several grenades exploding a few metres away’. Lightning doesn’t make sound. Author should have wrote “it’s thunder comparable to several grenades exploding a few metres away”.